Safety signs are important to any facility that wants to keep their people safe from the various hazards associated with facility processes. 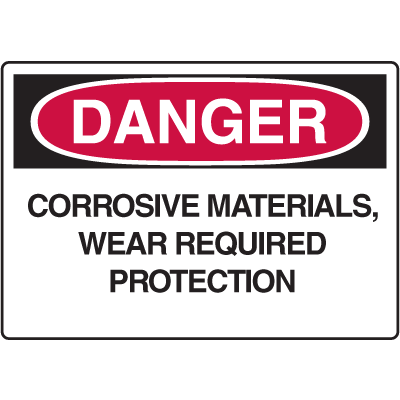 Corrosive Signs are perfect for any area where corrosive chemicals and vapors are present. We offer a variety of signs including OSHA signs, ANSI signs, and more. 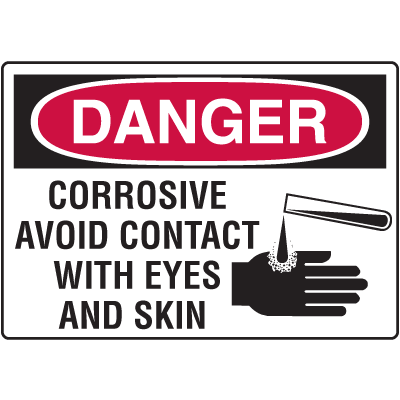 For facilities that require quicker recognition of the dangers, be sure to check out our selection of corrosive signs with graphics on them. While checking out these signs, don’t forget to pick up a few shipping labels as well so you can also label the chemicals that may need to undergo transit. So what are you waiting for, check out our signs and labels today! 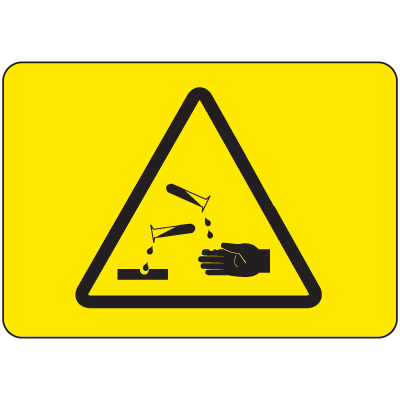 If you company handles corrosive chemicals, then Corrosive Signs are invaluable in keeping both your employees and visitors safe. Place these signs around areas where chemicals are processed to ensure that people are informed of the inherent danger in the substances they are handling. 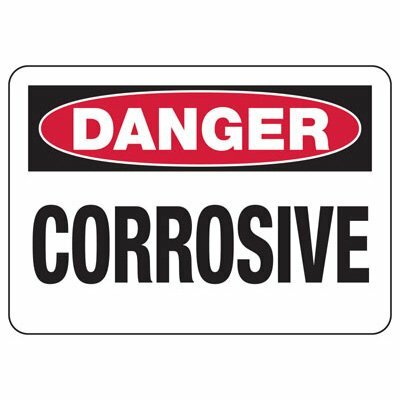 Of course, safety doesn’t end in the workplace so be sure to grab corrosive signs for vehicles carrying the liquids as well as the storage tanks in the back of your facility. 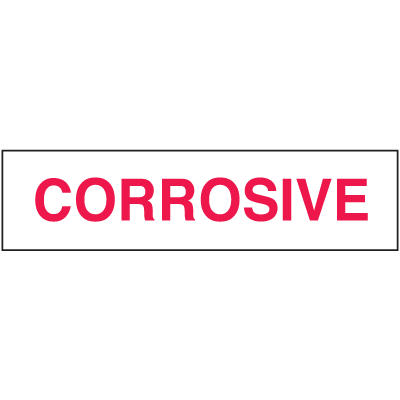 For smaller shipments, corrosive labels are also available and indispensable in keeping people safe. There is a bit of an art in using safety signs effectively. 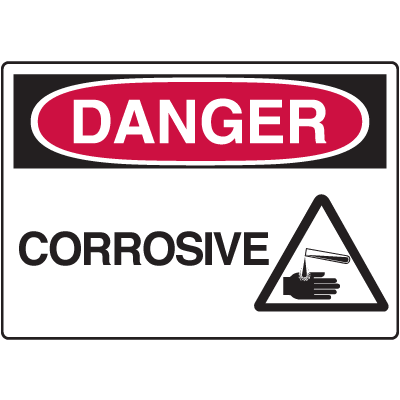 Location is perhaps the primary consideration when choosing the best place to mount your corrosive signs. Be sure that the sign is near the area where the hazard is without being too close that the chemicals can get to it. In addition, you need to make sure that it is easily visible to people both in the area and passing by. This also means you will need to keep the signs in a well lit location. That said, once you’ve picked the perfect location, all you need to worry about is how you’re going to mount it. After all, a sign is only good if it can be seen, and all that effort you’ve put into finding the perfect spot will have gone to waste if the sign refuses to remain mounted.